Large eruptions are well known. Mention Pinatubo, Mount St Helens, Krakatoa, Thera, and everyone knows something about it. The Tambora eruption of 1815 is the largest of this set: it caused the “year without summer”, left tell-tale marks in the ice sheets, and remains a terrifying example of the destructive power of volcanoes. But the Tambora eruption has been a bit of a problem. It caused several cold years, but in the temperature records, it seems as if this cold period already started before the eruption. As if the climate knew what was coming. And that, of course, is impossible. When people looked in detail at the ice records, from annual layers in the glaciers of Greenland and Antarctica, a second surprise came. The signal of Tambora was clearly visible: a huge spike of sulphate, lasting 2-3 years, among the largest such events of the past 1000 years (but perhaps not the largest: that is a different story). But the rise seemed to start before the Tambora eruption. When a higher resolution data set became available, it became clear there were two spikes, one about 5 years before the other. There was a major eruption before Tambora which no one had known about. From Cole-Dai et al. 2009 (Geophysical Research Letters, vol. 36, L2270): sulphate deposits from several ice cores. The two different peaks are clearly visible. The figure above shows these sulphate spikes, clearly showing two different events, with the first one not that much smaller than Tambora. This fitted in with the climate record. The figure below shows the temperature record of central England, which is rather a too small region to show global temperatures but which does show the effect of Tambora very well. The blue bar shows the Tambora years: especially the summers were very cold. But you can also see that the cooling began already in 1810 and there had been several cold years before 1815. Tambora’s effect was so large in part because it came on top of previous cooling. Weather reports from the UK show that spring and summer 1812 was very cold and wet. The harvest was late and poor. The following winters were severe, very cold and very snowy: 1814 was in fact the very last time the London ‘frost fair’ could be held on the frozen Thames. 1816 was the year without summer, cold, cheerless, and wet (but Scotland was sunnier, suggesting low pressure was traveling further south than usual). 1817 was not as cold but still very wet. 1818 was a warm summer, and marked the end of this depressing spell. Central England temperature series 1770-1840. The length of the cooling effect of the Tambora 1815 eruption is indicated by the blue bar. These graphs have been prepared using the composite monthly meteorological series since 1659, originally painstakingly homogenized and published by the late professor Gordon Manley (1974). From http://www.climate4you.com/ClimateAndVolcanoes.htm where links to the original data can be found. The conclusion seems inescapable: there was a large eruption, VEI6 or perhaps even VEI7, about 5 years before Tambora. But where was it, and why had it not been noticed by anyone? The mystery has remained unsolved. In a way, it shows how poorly explored the world still was 200 years ago. On the other hand, the major volcanic regions were well known and occupied. For instance, if something major had happened in Indonesia, the Philippines, or central America it would have been noticed. As of 11 December of last year, the disk of the sun has appeared devoid of irradiance, its light lacking that strength which makes it impossible to observe it easily and without pain. Its natural fiery colour has changed to that of silver, so much so that many have mistaken it for the moon. This phenomenon is very noticeable at sunrise, and particularly when the sun sets. When [the sun] is at its zenith, it shines more brightly and cannot be looked at with the naked eye. Near the horizon, it has been seen to take on a light rosy hue, [or] a very pale green, or a blue-grey close to that of steel. […] The whole vault of the sky has been covered by a light cloud as widespread as it is transparent. […] [Also] missing have been the emphatic coronas which are so frequently seen around the sun and the moon when those clouds that meteorologists know by the name of veil are present. The stars of the first, second and even the third magnitude have appeared somewhat dimmed, and those of the fourth and fifth have completely disappeared, to the observer’s naked eye. This veil has been constant both by the day and by night. The Observatory of Bogota, here celebrated in 1946 stamps. It was the first astronomical observatory in South America, founded in 1803. At sundown in the middle of the month of December, there began to appear towards the S.W, between cerro de los Chorrillos and the sea, an evening twilight that lit up the atmosphere. From a N.S. direction on the horizon, it rose towards its zenith in the form of a cone, [and] shone with a clear light until eight [o’clock] at night, when it faded. This scene was repeated every night until the middle of February, when it vanished. Assuming that the eruption occured in the tropics, the jet stream would have traveled around the world in two weeks. This has been used to date the eruption to no more than two weeks earlier, i.e. Dec 4 1808, plus or minus 1-2 weeks, as suggested by researchers. This is indeed how fast the Krakatoa ejecta traveled. Of course, the eruption may not have hit the tropical jet stream in which case dispersal could have been slower. The eruption could in principle have happened anywhere in the tropics, with a higher probability for south of the equator. Excluding well known regions, there are some options in Africa and others in pacific ocean. ( this blog has previously estimated the 1808/1809 eruption to be located at 5 degrees south). Not too much further though, as an eruption further from the equator than 20 degrees does not easily spread to the other hemisphere. The climate deterioration shows that the ejecta did manage to quickly spread north. Another concern is that the only observations of this haze are from the region on the west side of the Andes. This suggests that the haze was worse here than anywhere elsewhere, and makes it more likely that the eruption occured closer to here. For a local volcano, a smaller eruption may have sufficed to create the haze. In this case, the volcano that caused the haze may be different from the one that caused the sulphate spike and the poor weather. There are plenty of volcanoes around the region where the haze was seen, including some that are not easy to observe. Reventador comes to mind: it is very active, but eruptions are easily missed. It is about equidistant from the furthest locations from which the haze was reported (Lima and Santa Marta). The fact that in Lima the haze came in from the south west may point at one of the many volcanoes in the south of Peru. Huaynaputina is here: it had a catastrophic eruption in 1600. Further south, Putana (a volcano with an unfortunate name) at the deserted northern end of Chile may have had a large eruption around 1810, and it should be considered a realistic possibility. Even though smoke was seen, the smoking gun is still missing. That there was a large eruption in late 1808 or first half of 1809 seems certain. The Bogota and Lima haze may well be due to this, but it cannot be excluded that this was a separate event. It would be helpful to find out whether any of the major volcanoes in South America may have erupted around this time. Lacking this, a good look at isolated volcanoes in the Pacific may be needed. And a final point: we have always assumed that large eruptions are rare. But this is not the only case where a big event was hiding behind another one. The huge eruption of 1459 came after one in 1453, as was only recently discovered. We know now of 4 possible VEI7’s over the past 600 years, although for two do we not know which volcano it was. Larger eruptions are not as rare as once thought. Wonderful post! If I recall correctly the deeper down you go, the layers become progressively more indistinct, i.e. the further back you go, the less accurate the timing gets. Since this is a mere two centuries ago, and there also is the 1815 event close by, 1809 should be an exact date whereas the identifications of 1453 and 1459 come with an uncertainty of about +/- a couple of years or so. PS. I’ve edited the post to allow comments and pingbacks plus re-categorised it. It is definitely science + volcano! I’ve shared this before, but I’ve been periodically updating it as I find new eruptions that match ice core dates. This is from Geolurking’s Greenland Ice Core plot that shows volcanic So2 across the Holocene. Note the blue shaded section at the bottom of the plot. That marks the level of volcanic So2 that came after the Tambora eruption. Going across the plot, I counted a total of 63 spikes that created a higher level of volcanic So2 than Tambora. Now, Tambora was in the southern hemisphere, so the So2 probably wasn’t as high as it would be if it were in the north, but this list also doesn’t register many of the high So2 spikes that would have come from large eruptions in the southern hemisphere (most notably New Zealand and the Andes). There was at least one known VEI-7 eruption that shows very little trace on here (Cerro Blanco). Regardless of the location, any spike on here likely correlates to a very large eruption, likely equating to a good sized VEI-6 or larger. Exclusively going off volcanic So2 spikes that are of the same size or larger than Tambora’s So2 spike, you average a Tambora spike or higher every 160 or so years in the geological record, and this doesn’t even account for stuff that isn’t listed in this register. So yes, large eruptions do occur much more frequently than some believe. It’s just that nature is very good at hiding and covering up its many eruptions, and it is also somewhat difficult to accurately gauge the size of old eruptions. Note that there are some pretty significant spikes on this list that do not have a correlating eruption – those are mystery eruptions that I could not find a source for. 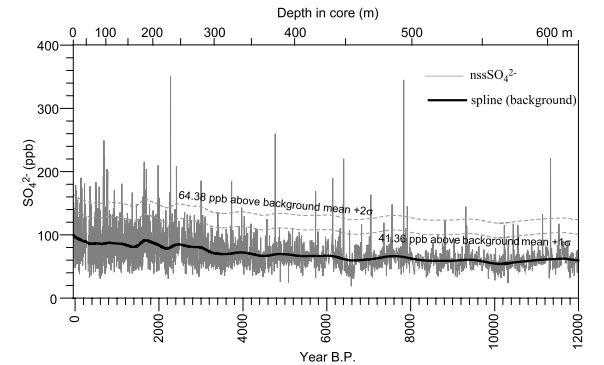 Also, note the largest spike around 9285 B.C. I’ve been keeping an eye and searching for possible sources for this eruption. The closest I’ve gotten is Hargy Volcano in New Britain (http://volcano.si.edu/volcano.cfm?vn=252100 ). Given, this is still just a guess and a possible candidate, but not necessarily the likely culprit since not enough is really known about this volcano. Lolobau close by is also a decent candidate for one of the spikes around 10,000 B.C. Funny that. This post cane about because of a question I had about the 1810 spike while doing a comparison of eruption sizes between Laki and what was probably a monster rift event 10 kyr ago from grimsvotn that Carl threw in my lap. If my guess is right, it might have stretched from Katja to grimsvotn. It looks that big from the so2 data. Where is the lava from this rift event? There is a pretty comprehensive paper on postglacial eruptions in Iceland that ranks them according to lava production. I would think if there really was such a large rift event, it would be included in here. Also, 10,000 years ago is only 300 or so years after the Grimsvotn caldera event. Perhaps they’re one and the same? May not have been a pure rift event (or at all). A lot of stuff indicates Katla had a rift event going in this time frame, but evidently, the Saksunarvatn tephra has been linked to Grimsvotn. (10,200 years calibrated). When I asked about it being re-evaluated as not being Katla, Carl noted that this was a separate event unto itself. Based on the SO2, I assumed it was a rift event since Grimsvotn still exists as a volcano. I would have expected destruction of the edifice from the shear size of the eruption that it implies. No link to the paper yet. Then we got to discussing Miss World New Zealand’s Haka. Yeah, it’s a cultural nod, but I don’t think she scared anybody. Seems about on-point, considering that there are three small to mid-sized calderas at Grimsvotn proper. One thing I will point out is that there is actually an enormous eruption that came from Iceland that dwarfs anything Grimsvotn may have ever done – a VEI-8 basaltic plinian eruption. As ridiculous as that sounds, it’s entirely true. So technically, Iceland has had VEI-8 eruptions, although this was more the North Atlantic igneous province than Iceland if we’re going to be proper. I posted this higher up, but I’m afraid it’ll get buried, and wanted to re-link it for any interested parties since it’s one of the most interesting volcano-related things I’ve read in the last year or two. Turns out Iceland (or technically, the North Atlantic Igneous Province) has had a VEI-8 eruption after all according to this research paper, although it was a much different place at time. The thing that boggles my mind is how a basaltic eruption of that magnitude could even be possible. Considering that Iceland volcanoes emit so much sulfur the climate effects tend to be one VEI higher than for comparable-sized eruptions elsewhere in the world (e.g., Laki at VEI5 produced comparable climate effects to the VEI6 Pinatubo eruption, if not even worse ones), then a VEI8 at Iceland would have the climatological effects of a VEI9! That would have caused a brief but truly savage cooling, followed (after the SO2 rained out but the CO2 continued to linger for millennia) by a major episode of global warming. Either way, it makes Grimsvotn a little bit more spooky. … sort of like having Mike Tyson on the opposing team for flag football, yeah it’s flag football, but you know its gonna hurt. And for all concerning SO2. In researching a previous article, I found that SO2 injections to the stratosphere take about 2 months to convert to sulfate. After formation, sulfate sediments out to pre-injection levels after about 50 months. How it acts in the troposphere? I have no data. But the higher inherent H2O content points towards a faster conversion rate. One paper I say years ago, tried to determine the leach rate of SO2 from tropical eruption columns vs higher latitude eruptions. At the time, I wasn’t into scarfing formulas to I never grabbed it. Is there any available studies on that? It would help if, say, there was a proven link between the 1908 Tunguska event (which is believed to possibly have been a cometary fragment) and an SO2 spike, or, if there was a co-temporal impact structure? I think it would have to be around the same area as the assumed culprit Putana? One of the better locations is The Cosmic Tusk. Lots of links to papers there. Also look at anything you can find by Bill Napier / Victor Clube. Mike Ballie is a dendrochronologist who has written extensively into historic comet showers. Fred Hoyle started the ball rolling over 60 years ago looking into the Taurid Complex. Tunguska is though to be an Encke related object (similar orbit). I believe there is a difference here, since this is a graph specifically for volcanic So2. There is a separate plot that charts total So2, but this one is specifically for volcanically derived sulfate. I’m not sure if an asteroid impact could register as volcanic so2, but I would guess probably not. There probably are other sulphate sources but the trick is getting them into the stratosphere. Dust hazes can come from big fires or sand storms. Comets could supply material inthe to stratosphere but not very much. A medium eruption is 1 km3. A comet that size would leave a 20 km impact crates. Ouch. very nice! Greenland is rather sensitive to Icelandic and Alaskan eruptions. The biggest ones are those which also show up in Antarctic ice cores. A Tambora every 160 years may a little high, but it is I think at least every 300 years. The true number may be in between. This is true, but a lot of the largest lava eruptions in Iceland do not correlate to any matching spikes in the Gisp So2 chart. Going off the database of Icelandic lava eruptions, you would assume that the second largest known lava eruption in Iceland would register in this as a significant spike (that being Eldgjá), but there isn’t anything major to show for it. Similarly, Veidivotn is somewhat absent from the So2 register. From this, I somewhat doubt that the non-explosive eruptions in Iceland have left any large mark in this greenland ice core. With that said, Grimsvotn’s caldera event is quite visible at around 8300 bc. I do agree that the # isn’t quite 160 years, that would be way higher than even I would expect, but large eruptions definitely seem to happen more frequently than we realize. I’ve seen it written quite a few times by reputable sources that large eruptions only occur roughly once every 1000 years, but I don’t think this was based on any particularly in-depth research. Based off the geological record as well as So2 record, I think it would be safe to estimate that they occur much more frequently (300 years sounds about right) than previously thought. One other note is that the mystery eruption around 4000. b.c. 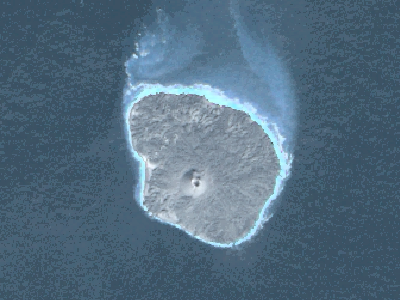 could very likely be Mcauley island’s caldera eruption in the Kermadecs. Yup stratospheric injection,Pinatubo is an example,plinian or ultra plinian. I would say the Grimsvotn caldera eruption back then may not have been as big as the spike would suggest. If you were to compare it to other big spikes, you’re gauging it against truly monstrous eruptions like Kikai and Kurile lake. But the proximity to Greenland, and what is likely a very gaseous magma composition make the spike quite a bit more distinct here. The spike at 11063 is probably Katla, the eruption that produced the Vedde ash beds. But the big one at 9285 B.C. is the one I really want to know the source of. Assuming this eruption was as large as the spike would imply, there should be a sizable caldera somewhere that correlates to this eruption. It’s just a matter of finding the source. Hargy volcano in New Britain is my best guess right now. The timing of its caldera eruption seems within range of the 9285 B.C. date, and the caldera is of a decent size (10x12km). But even then, there are some doubts – the spike would be quite enormous for a volcano as far south as New Britain – keep in mind that Taupo barely shows up on here, so this would possibly need to be much much larger, or significantly more gaseous to be the true culprit. I wonder if the haze came from an East African volcano. I looked at that. There are no records of an eruption or a haze from Africa at that time. Also, if the haze came from the southwest to Lima, it puts the eruption rather far south for African volcanoes. On balance, a south american site seemed more likely. So, does that mean that it has been more then 200 years since the last VEI 7? So could the first eruption have been caused by an oceanic volcano, that erupted so much, that even the surrounding water couldn’t keep the SO2 from escaping into the air? Not sure what the big interest is here all the sudden. Looks like pretty normal volcanic activity to me from a stratovolcano. Why not ,one of the longest continuously active volcanoes on the planet…NZ overdue for something? 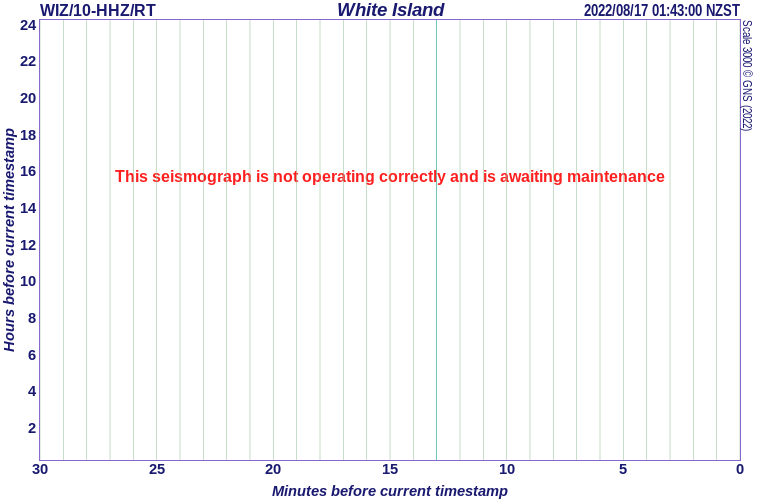 Not sure if it’s correct to say the North Island is “overdue” for a major quake. 1855, 1931 (x2), 1934, 1942 (x2) yet relatively quiet for 70 years since. No predictions can be made from that, except the standard and ongoing disclaimer that if it doesn’t happen today, the chance of it happening tomorrow is always slightly higher. 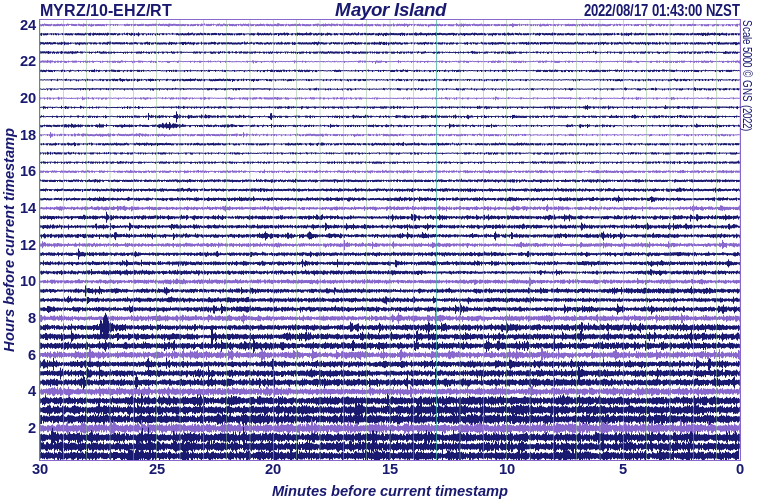 The Mayor island drum is noise,most likely wind.The White island drum is small volcanic quakes .White Island is classed as being in a state of minor unrest,Mayor Island is for all intent dormant,more chance of an eruption from Taupo then that thing..An example of overdue is Mt Taranaki,but White Island is the prime candidate because it is currently active together with Ruapehu. Unrelated: I know Aconcagua ain’t volcanic, but I can’t think of another debris flow video this terrifying. How about Sierra Negra in the Galapagos lslands? Not a lot is known about its history..Anyone? Note the Jetty that is the Coos Bay ship channel. the Beach is Basendorf…Popular with surfers and Great White Sharks. My neighbor had a nice shark bite out of his Surfboard….. I was literally just about to post this. Rather interesting. I have to say, if I was the cameraman, I would have kept running however. You see a wave like that, and your first thought has to be Tsunami, which in this case, would come with a MUCH larger second and third wave in all likelihood. However the Metetotsunami isn’t out of the equation, just one more possibility. action. When it does that- head for higher ground! Some decent looking waves there… I would go ! Is it possible Tambora was extremely voluminous,but this volume was not ejected into the stratosphere and the tephra collapsed due to its own massive very dense bulk,think of the Caldera eruption as a massive heave that does not reach particulary great heights.So what is attributed to Gamboa may have been climate driven with a boost from the eruption after the climate cycle had started,A Calder erupts possibly from multiple vents around the rim fault ,so each eruption column does not have the energy to reach high into the stratosphere and the climax of the Calder floor collapsing event,the bulk and density is so great it instead resembles a few thousand feet high pyroclastic flow,truly terrifying but maybe not climate altering in a global sense.Just a loose thought. What is current condition of Katla? And could there happen a new Eldgja (probably not..)? The area’s two sides move away from each other at about 18 mm/year, so how long till it opens up again? Then, in what manner? There are almost 4.2 meters of displacement that have not been accomodated since laki shutdown in 1783. That would make for a healthy dike if there is any magma looking for an easy path out of a central volcano. The gas load is probably gonna be the deciding factor about how it ultimately turns out. It all depends on two factors – the height of the eruption column and the local altitude of the stratosphere at the time. It’s generally lower towards the poles which is why dust and volcanic gases tend to spread farther from “polar region” volcanoes than equatorial region ones. Just look at Eyjafjallajökull! Also, unless this factor is taken into account, it could result in an overestimation of the size of ancient Icelandic (and Alaskan?) volcanoes where substantial quantities of ash have been found in predominantly Scandinavia. Maybe think of the difference between a muscle car(pinatubo?) and a heavy truck(taupo? )both producing 600hp,now the expression of power in these 2 vehicles is completely different the car produces it’s power at high rpm with less torque ,also a higher rpm than the truck which produces maximum power at lower rpm and a far greater amount of torque as well as the extra mass,gearing and subsequently far greater pulling power.But the car has far more acceleration? I can’t make any sense of your car analogy. I think the main takeaway of this article is that the most recent Taupo eruption wasn’t a singular blast, but rather a series of blasts that was likely a little longer than initially thought. 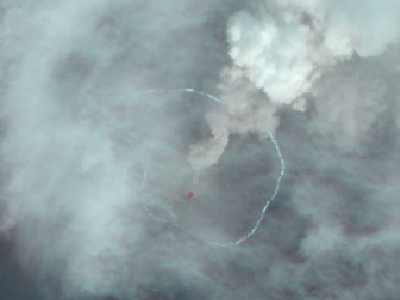 This resulted in a slightly lower plume. Another important takeaway from this article is that estimating sizes of past large eruptions is difficult. Not only is it tough to accurately measure how much tephra was released from a volcano, it’s requires a lot of research to more accurately define the density of said tephra. Then on top of that, you have ash that stayed in the stratoshere, or ash that was deposited on the bed of oceans that is very difficult to accurately measure. OK another comparison made is between earthquakes and tons of TNT,now a 6.8 mag quake is 16kilotons of TNT and the Hiroshima bomb also 16kilotons,but the earthquakes energy is released in many seconds at depth underground and mainly as a Shockwave through rock,where as the bombsun energy is released in milliseconds above ground and much of the energy is expressed as heat as well as Shockwave through the atmosphere,same energy produced but the effect created is totally different because of the many different parameters through which it is released.I would take the earthquake any day..
A fairly decent estimate of explosive power can be made if you can get a good set of data on the size of the tephra and then work back through a milling formula to find out how much work is needed to make particles that small. I did a rough Calc on Kelud dome explosion and came up with a healthy mag 6 or so energy release. I found this interesting. Anyone on here see it? the summit of Nishino-shima. It is from 12 Nov 2015. An image from Dec 14 (second one below) shows the island beautifully but the summit lava is gone. The eruption that started in Nov 2013 and seemed ot go on forever seems to have quietly ended. An interesting article about the 7.1 earthquake in Alaska this Sunday! Some parts of the city are safer than others due to differences in the ground. Had a look at the Laki record. The Greenland ice core has a huge sulphate deposit from this, the largest deposit of the last 2000 years. The second largest is Eldgja, followed by the 535AD eruption. But the two icelandic eruptions left no trace whatsoever in Antarctica. Locally, eruptions such as Laki are very bad. Globally, they leave little impact. Interestingly, one of Hekla’s eruptions may have left a small trace in Antarctica: perhaps a more explosive eruption. There is a small deposit in 1908 but it is unlikely to be from Tunguska. There was an eruption in Kamchatka which is the likely source. Hi Albert, slightly off topic, is it possible to drill down on the dates a little? I’ve recently come across Huaynaputina volcano whilst reading up on the Troubles in Russia around 1600 and it would be interesting to see if there’s any record of it in the ice core. Interestingly, Huaynaputina seems to be one of those volcanoes we now very little about with only 2 eruptions on record at GVP, one of those being the VEI6 that is attributed to the events in Russia and elsewhere. Yes, this is seen in both hemispheres as a spike lasting from 1601 to 1603. The deposit may be comparable to or a little less than that of the 1809 eruption, but stronger than Krakatoa. There was another significant eruption in 1694, of similar strength, again with unknown origin. Is the broad increase in the rightmost section of that graph due to industrial emissions? Yes. In Greenland it is mostly from Europe and North America. In Antarctic it is believed to come from mines in South Australia, starting from the late 1800’s. While we’re discussing ice core data – here is the antarctic 10,000 year list. Looks like the 1809 event registered a lot more strongly in Antarctica than Greenland, then? Seems in line with a South American eruption, they don’t tend to show much in that arctic. The only question is where it came from specifically. Well if it was seen in Lima and Bogota, why not one of the Ecuadorian volcanoes, all of which lie just about in-between those two cities? It’s possible, but the thing here is that Ecuador was fairly well populated, even back then (at least quito was) and most of the volcanoes in Ecuador are now fairly well-studied. As such, if it was in Ecuador, it would have probably been a good distance away from Quito. The problem is that the volcanoes east of quito away from population centers have a pretty detailed eruptive history, so it would be known if there was a large eruption around 1809 from any of these. One would think that someone would have heard it. When Kelud last went up, it was heard 200 km away. Granted, terrain would have played a large roll in how well the sound would have propagated, but you would think that someone would have noticed something that large. A fairly safe assumption is that it was not a gentle release of volcanic gasses. Exactly. If we were to assume that this is somewhere in the Andes, I would make a guess it would be in the high Andes altiplano away from society for the most part. One thought I had was that it may have been either in the Kermadecs, or another south pacific island such as the Marianas. If we are to assume the dry fog reported was in fact volcanically related, it could have possibly drifted to the the the south american coast from the south pacific. Yes, the haze can have different origins, and the big eruption may be a different event. On balance, I think the haze did originate from South America. Otherwise it should have been seen elsewhere, and if in the tropics, a pacific eruption would have caused a haze towards Asia (easterly winds), not South America. It would have to have been on the northern edge or side of the Atacama, again because of prevailing winds. I am making two suggestions of volcanoes that might not have been seen, well away from populated areas. As to the sound, remember that there is a large sound shadow area where eruptions cannot be heard, typically 10-100km from the volcano. Further away, volcanic explosions sound like cannon and would have been interpreted as such. Is there a spike in 1912 for Novarupta,the largest eruption of the 20th century,that occurred in an isolated area and the eruption site was only visited in 1916?Probably as big as krakatoa in volume but very few people have heard of it,volume erupted and explosively do not necessarily correlate.There have been larger eruptions than Pinatubo,but the SO2 release from Pinatubo was phenomenal and a great deal of it entered the stratosphere,most of the recent Icelandic high SO2 emissions would have fell as acid rain,most of it over the ocean? Good but the time scale is too big for the pixels. We need a zoom-in on the years around 1809. The 1257AD eruption has since been identified with Rinjani, fairly convincingly. 1458 is Kuwae (probaby, not certain), but the 1453AD is missing, as is the 1695 eruption. New post is up. It is a classic!